When technology industry executives visit Fortune‘s New York City headquarters, one of the things I enjoy most is when they inevitably slow to a stop in front of the “magazine wall,” a display of our last six to eight issues that greets new visitors. They’re usually struck by the steady parade of tech execs staring back at them: Silicon Valley investor Ben Horowitz, IBM CEO Ginni Rometty, Theranos founder Elizabeth Holmes, Yahoo CEO Marissa Mayer. Even Disney’s Bob Iger got the tech treatment: “EMPIRE OF TECH,” the type on our January 2015 issue screamed. Fortune has long valued its technology coverage, and it’s no secret in our industry that the team behind it is tight-knit. In that spirit, we’re delighted to announce that we’ve hired six more talented journalists, all formerly of the well-regarded tech site Gigaom: Stacey Higginbotham, whose coverage has focused on the so-called Internet of things; Barb Darrow, who specializes in cloud computing; Katie Fehrenbacher, who covers energy technology; Mathew Ingram, who covers media and the social web; Jeff John Roberts, who focuses on technology law and policy; and Jonathan Vanian, who focuses on business technology. They join a team composed of Heather Clancy, Philip Elmer-Dewitt, Erin Griffith, Robert Hackett, Kia Kokalitcheva, Adam Lashinsky, Michal Lev-Ram, Dan Primack, Leena Rao, Dan Roberts, and yours truly, plus a veritable army of talented contributing writers and editors. Fortune has always covered how technology is changing the workplace—85 years of publishing prove it—but things are changing faster and more dramatically than ever before. Look for our newly expanded team to double down on covering the technologies that are remaking the foundations of global business, from cloud computing and data analytics to machine learning and artificial intelligence, in the magazine, at our live events, in our daily Data Sheet newsletter (to which you should subscribe! ), and on Fortune.com. I’m delighted to announce major additions to the Fortune family that will keep us at the cutting edge of reporting on how technology is changing the workplace. Six of the journalists from the tech web site Gigaom will be joining Fortune in the next few weeks. These journalists are leaders in covering an interconnected group of technologies — cloud computing, big data, machine learning, artificial intelligence, robotics, sensors, social collaboration, energy technology — that are profoundly remaking the foundations of global business. Readers of Fortune increasingly recognize they need to master the implications of these technologies for their companies, or face disruption by others who do. We intend to be their guide — in print, on the web, and through our conferences. The new reporters include Stacey Higginbotham, whose coverage has focused on the internet of things; Barb Darrow, who specializes in cloud computing; Katie Fehrenbacher, who covers energy tech; Mathew Ingram, who covers media and the social web; Jeff Roberts, who focuses on technology law and policy; and Jonathan Vanian, who focuses on enterprise technologies. Katie and Jonathan join the San Francisco bureau; Jeff will join the New York bureau; and Stacey, Mathew and Barb will report from their homes in Austin, Toronto and Boston, respectively. They will work closely with Adam Lashinsky, Andrew Nusca and the existing Fortune tech team. Please welcome them. This major investment in Fortune’s journalism comes on the heels of extraordinary digital growth, for which all of you deserve great credit. 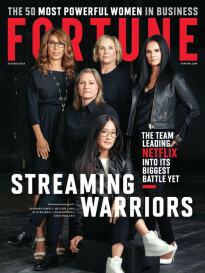 In the month of March, we had a total of just under 17 million visitors — more than doubling traffic from June 2014, when we launched Fortune.com as a standalone site. Video streams were up nearly 1400% from June. 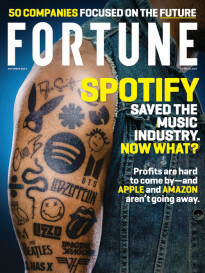 Fortune increasingly has become a central part of smart digital conversations about business, mirroring the reputation that the print magazine has held for the last 85 years. With the addition of the Gigaom reporters, our digital offerings will be greatly enhanced. In today’s busy world, we recognize the importance of getting our smart take on business news to readers in the most convenient forms possible. For that reason, on Monday we also will be launching a revamped daily newsletter, the Fortune CEO Daily. I will be writing it with John Kell and it will arrive in our readers’ mailboxes early every morning and provide our take on the day’s most important news stories. Subscribers to the existing Fortune newsletter will receive the newsletter automatically. Others may sign up at Fortune.com. The above changes highlight the determination of the leadership of Time Inc. to grow Fortune’s traditional commitment to great business journalism. We welcome it, and look forward to more in the future!